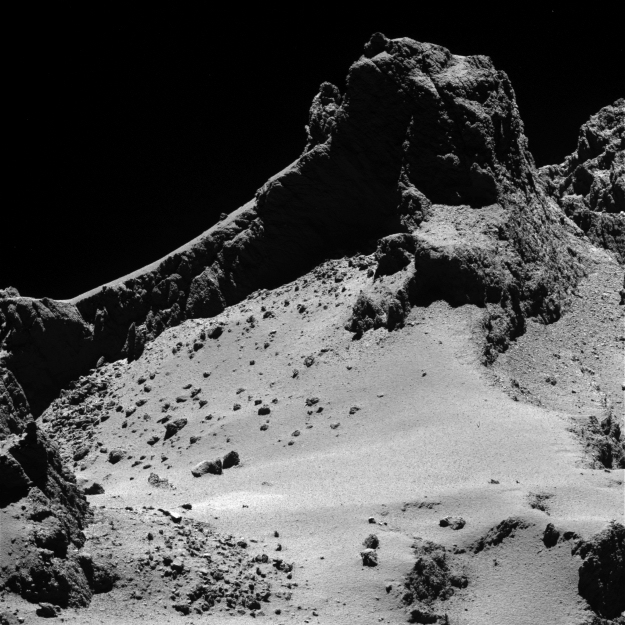 A section of the smaller of Comet 67P/Churyumov-Gerasimenko's two lobes as seen through Rosetta's narrow-angle camera from a distance of about 8 km to the surface on 14 October 2014. The resolution is 15 cm/pixel. The image is featured on the cover of 23 January 2015 issue of the journal Science.